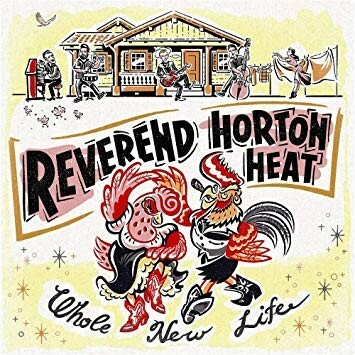 GIVEAWAY: Reverend Horton Heat Swag! 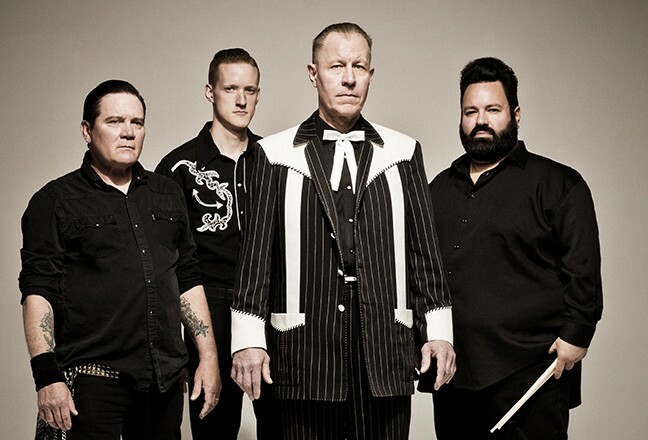 The Reverend Horton Heat is coming to town and we have a last-minute giveaway for ya! Enter for your chance to win a CD of the new album Whole New Life signed by the band. For the better part of three decades, that band has spotlighted an alt-music cult legend who is often confused for his band's name. That man is Jim Heath, who—alongside longtime stand-up bass thumper Jimbo Wallace—has entertained his legions of fans with tireless tours up and down the highways and byways of the United States and abroad. Heath and Wallace, who have weathered the rotation of a few able-bodied double bass drummers over the past 30 years, have a new album, aptly titled Whole New Life, via Chicago-based Victory Records. The band's 12th studio effort—and first since 2014's REV—proves it's never too late to teach an old dog a new trick. The title of the new release is underscored by the additions of veteran Dallas drummer Arjuna "RJ" Contreras (Eleven Hundred Springs, Grammy-winning nuclear polka band Brave Combo) and precociously slick West Virginia blues piano player Matt Jordan to the mix. And if that's not enough, Heath has expanded his vocal range to add menacingly fun vocals that are more than road-tested and built for speed in higher registers.